Sharon and I stopped for an early dinner at the Buckhorn Grill in University Village. Sitting at the bar, Sharon had a Steakhouse Burger [Roadhouse Onions, cheddar cheese, & Sweet Fire BBQ sauce] and I had a Buckhorn Burger. I was not impressed with the food; I told Sharon that I rated it a five on a scale of one to ten. We did get a chance to see the end of the Kings versus Cavs game. On a three game winning streak, the Kings won the game by the score of 129 to 110. 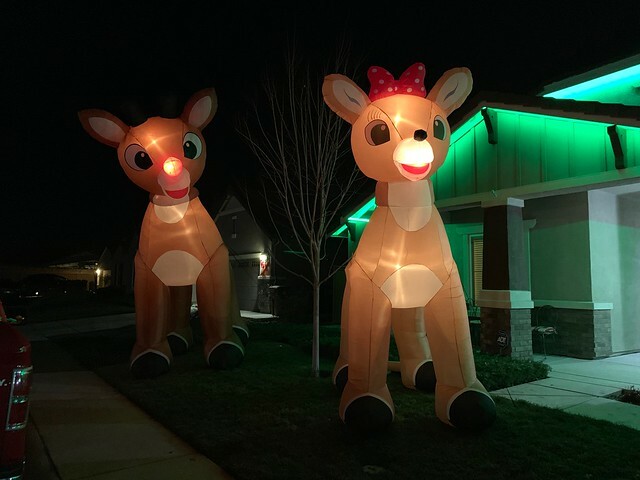 From there, we headed to the Gainsley's Christmas Party in Elk Grove. For the second year in a row, we made it to their party! Over the years, it seems like we have often had a conflict. We stayed about an hour and had a nice visit with Laurel and June.